The present study was carried out to determine the potential antibacterial effect of essential oil of Origanumvulgare against antibiotic resistant E.coli. In this study, the essential oil of Origanumvulgare obtained by hydrodistillation was analyzed by gas chromatography coupled to mass spectrometry (GC-MS) in order to determine their chemical composition. The minimum inhibitory concentrations were investigated to characterize the antimicrobial activities of this essential oil. The results in tables 1 showed that essential oil of Origanumvulgare had inhibitory effect against most isolated plates. The least MIC value of essential oil of Origanumvulgare was 0.62 mg/ml and the highest MBC value of essential oil of Origanumvulgare were 5 mg/ml and 10mg/ml. The present studies confirm the use of this essential oil as antibacterial agent. Further research is required to evaluate the practical values of therapeutic applications. Baydar, H., Sagdic, O., Ozkan, G., Karadogan, T., 2004. Antibacterial activity and composition of essential oils from Origanum, Thymbra and Satureja species with commercial importance in Turkey. Food. Control., 15, 169-72. Burt, S., 2004. Essential oils: Their antibacterial properties and potential applications in foods – a review. Int. J. Food. Microbiol., 94, 223-53. Chaudhry, N.M.A., Saeed, S., Tariq, P., 2007. Antibacterial effects of Oregano (Origanum Vulgare) against gram negative bacteria. Pak. J. Bot., 39(2), 609-613. Da Costa, A.C., Cavalcanti dos Santos, B.H., Santos Fillho, L., de Oliveira Lima, E., 2009. 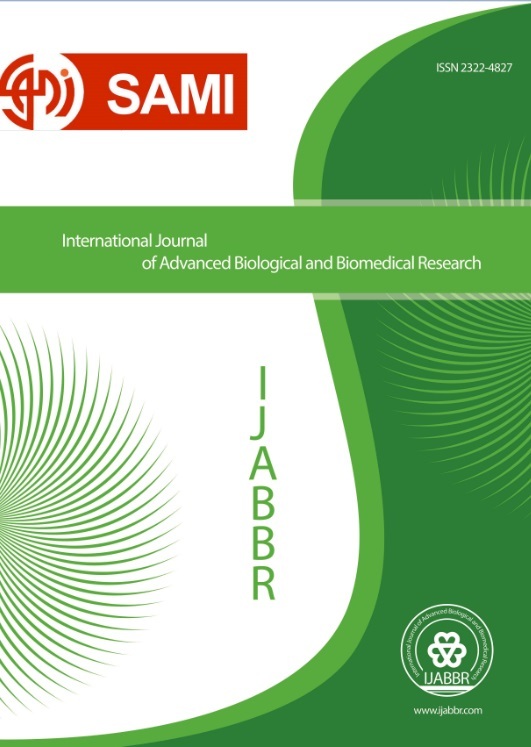 Antibacterial activity of the essential oil of Origanumvulgare L. (Lamiaceae) against bacterial multiresistant strains isolated from nosocomial patients. Rev. Bras. Farmacogn., 19(1). Kokkini, S., Karousou, R., Dardioti, A., Krigas, N., Lanaras, T., 1997. Autumn essential oils of Greek oregano. Phytochem., 44, 883-6. Moradi, M., Hassani, A., Ehsani, A., Hashemi, M., Raeisi, M., Naghibi, S.S., 2014. Phytochemical and Antibacterial properties of Origanum Vulgare ssp. Gracile growing wild in Kurdistan province of iran. J. Food. Q. Hazard. Contr., 120-124. Ozkan, G., Sagdic, O., Ozcan, M., 2003. Inhibition of pathogenic bacteria by essential oils at different concentrations. Food. Sci. TechnolInt., 9, 85-8. Saeed, S., Tariq, P., 2009. Antibacterial activity of oregano (Origanumvulgare Linn.) against gram positive bacteria. Pak. J. Pharm. Sci., 22(4), 421-4. Santos, P.R.V., Oliveira, A.C.X., Tomassini,T.C.B., 1985. Controle Microbiogico de Produtos Fitoterapicos. Rev. Farm. Bioquim., 31, 35-38. Stamatis, G., Kyriazopoulos, P., Goleyou, S., Basayiannis, V., Skaltsas, S., Skaltsa, H., 2003. In vitroanti-Helicobacter pylori activity of Greek herbal medicines. J. Ethnopharmacol., 88(2-3), 175-179. Tabrizi, R., Zolala, F., Nasirian, M., Baneshi, M.R., Etminan, A., Sekhavati, E., Khodadost, M., Haghdoost, A.A., 2016. Estimation of the prevalence of chronic kidney disease: The results of a model based estimation in Kerman, Iran. Med. J. Islam. Repub. Iran., 30, 338. Van de Braak, S.A.A.J., Leijten, G.C.J.J., 1999. Essential oils and Oleoresins: A survey in the Netherlands and other major markets in the European union. CBI, centre for the promotion of imports from developing countries, Rotterdam, 116.